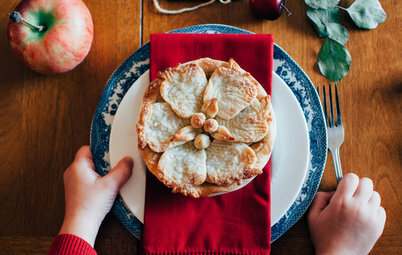 For this year’s Thanksgiving table, instead of heading to the store or undertaking a time-consuming DIY project, why not take a walk? 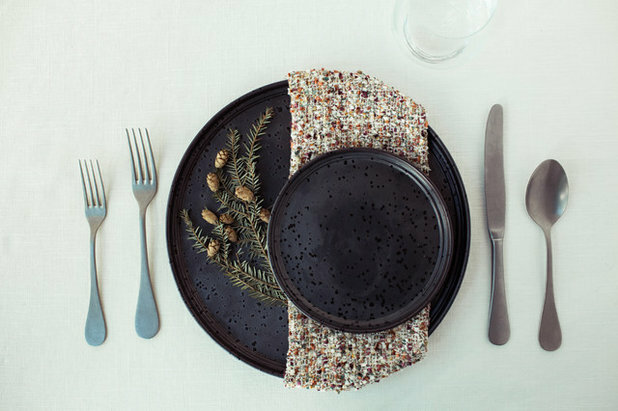 “The main inspiration came from my hiking outside,” says Christy Johnson, owner of To La Lune Events, who designed these 15 fall-inspired place settings using cleaned sprigs and leaves she foraged from around her home in New York. 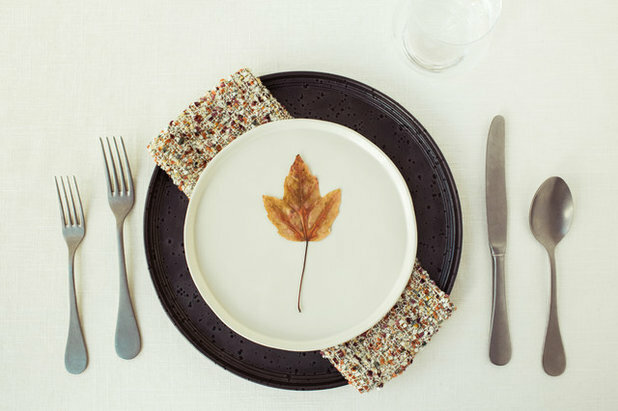 While not every place setting features lush fall foliage, all feel elegant, seasonal and simple. 1. Highlight a seasonal specimen. 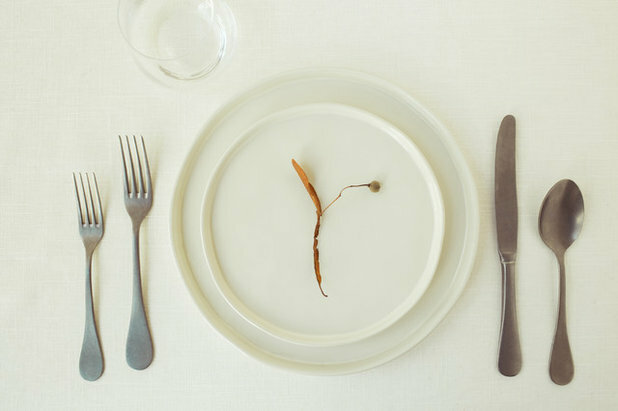 A single ornamental seedpod collected on a walk pops against a minimalist all-white place setting. “I’d never noticed these before,” Johnson says of the plant piece, but when it’s centered on the white plate, the piece reveals how unique and beautiful it is. 2. Layer with leaves. 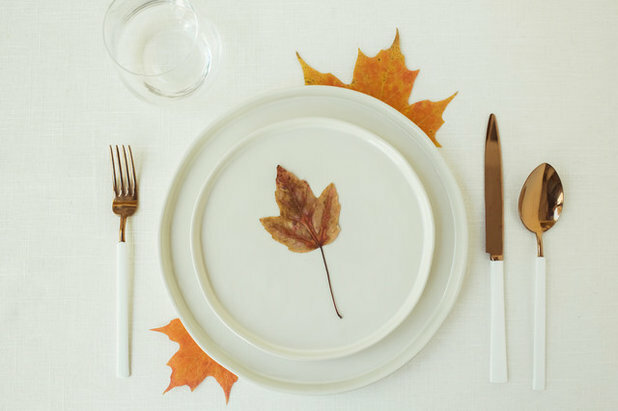 Instead of placing your plates on a place mat or charger, use fallen leaves for some seasonal color. Johnson pressed these in a book for about three weeks beforehand, but you could flatten them for just an hour or two — or even pull them straight from the garden. 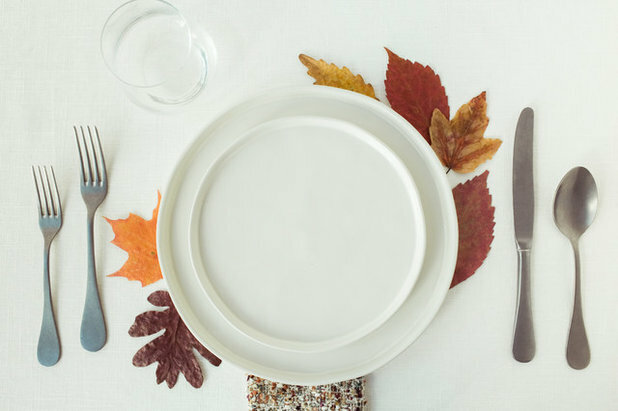 Just check that the leaves won’t stain your tablecloth. 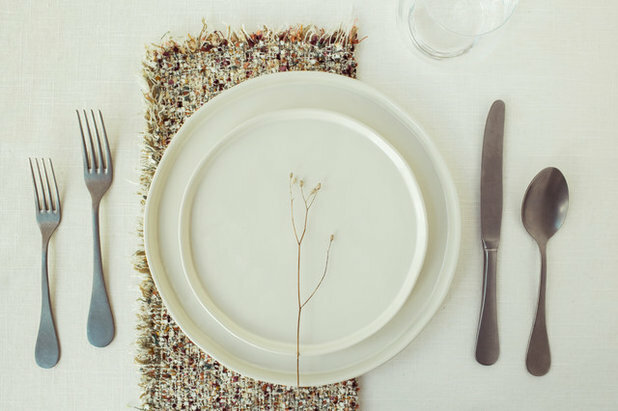 White-and-copper flatware makes the place setting feel a little more festive, but it still fits within a contemporary aesthetic that could be used year-round. 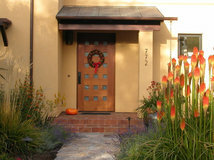 Tip: If you don’t have access to fallen leaves, you could always cut leaves or other shapes out of pretty paper. Johnson will sometimes soak paper in coffee for an attractive natural dye. 3. Add more leaves. Slightly more layering highlights the detail of the leaf again, by centering it on the salad plate. 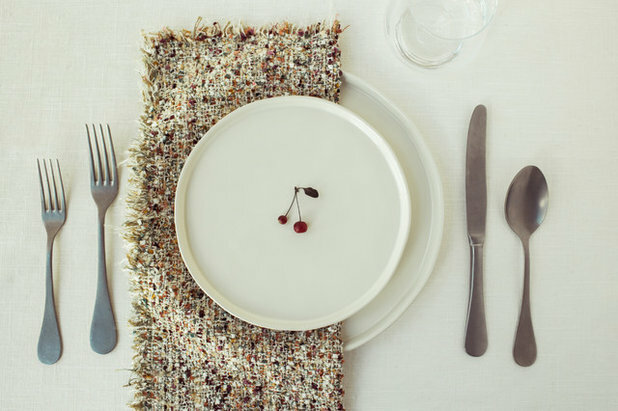 This place setting offers an opportunity for name cards, if that’s what your dinner calls for. Johnson suggests writing with a paint pen directly on the leaf or tying a string and piece of paper to the stem. 4. Create a path. Even more leaf colors and shapes are placed under this place setting. 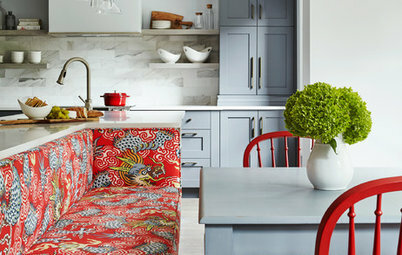 “This one was really inspired by all the leaves on the ground,” Johnson says. “It’s like you’re walking on a path and there are leaves everywhere.” Additionally, a rough-textured and fall-colored napkin brings in another element of layering and contrast. 5. Use one plate. 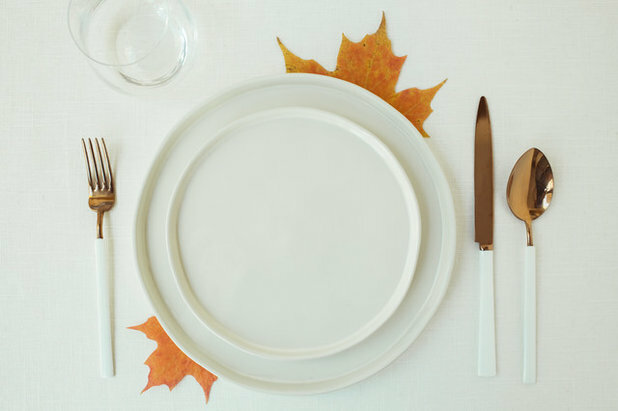 Tuck the napkin underneath the dinner plate, without worrying too much about folding it nicely, and let a slightly larger and more intricate leaf anchor a single plate. 6. Break it down. 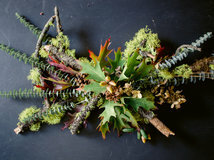 Looking for more natural forage tabletop inspiration? 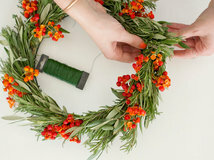 Grab a larger conifer branch and snip off smaller branchlets to sit at the center of the plate. “I recommend doing them when they’re fresh,” Johnson says, since the needles can fall off on the plate as the plant begins to dry. 7. Sandwich the napkin. This arrangement shows off the napkin, as you can truly see its edges, texture and color. Tip: If you decorate with any sort of berry or nut, be sure it’s edible, as guests may assume it is. If it isn’t, be sure to let everyone know (and remind them). 8. Put the napkin beneath. Vary this approach by using a napkin as the place mat. The napkin is folded in half and runs behind both plates, its edge aligning with the larger plate’s edge, not centered in the middle. 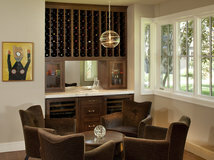 “I like this a lot because it gives your glass some breathing room,” Johnson says, in case you want to show off some beautiful glassware. 9. Rethink breakfast. The holidays are all about cocktail parties and dinners, but sometimes a brunch is just what your tastebuds — and your schedule — ordered. 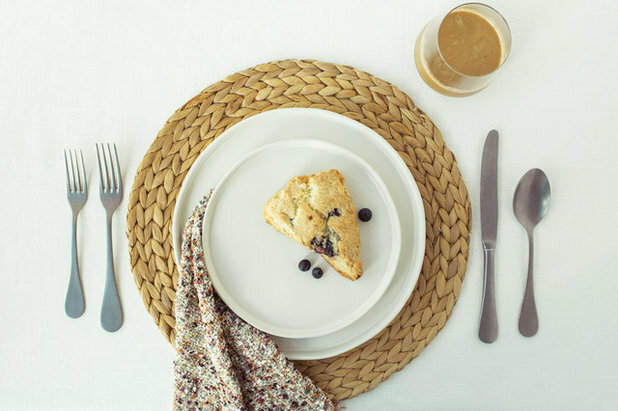 A round woven place mat grounds this place setting, with the same textured napkin casually draped to the side. 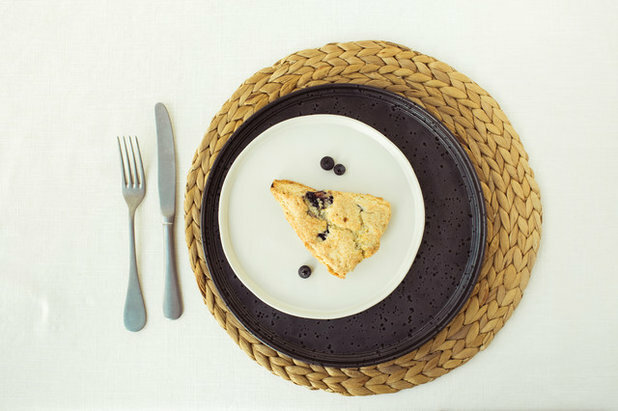 A scone as part of the place setting gives people something delicious to munch on as soon as they sit down. 10. Think high contrast. 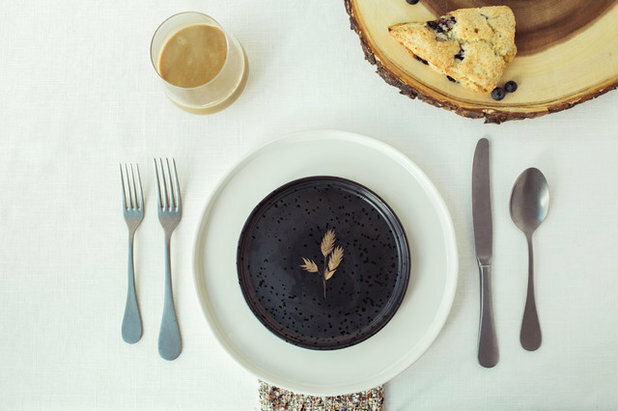 In this second take on the breakfast place setting, an inky-black salad plate takes the place of the white one, creating a contrasting mix. 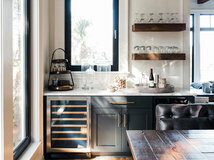 The blueberries on the adjacent wood serving tray complement the dark color, while the foraged seeds tie in with the tray’s wood color, and stand out against the dark backdrop. 11. Save space. If you’re short on space, skip the extra spoon — or fork or knife — and put the utensils you do need on one side. 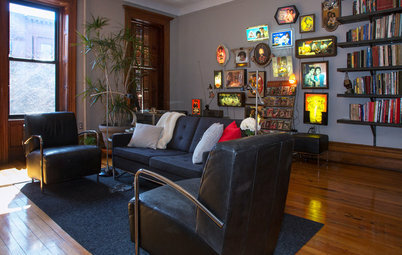 Everything doesn’t have to be centered, since this setup puts all the plates up against the left edge as well. 12. Tuck it in. 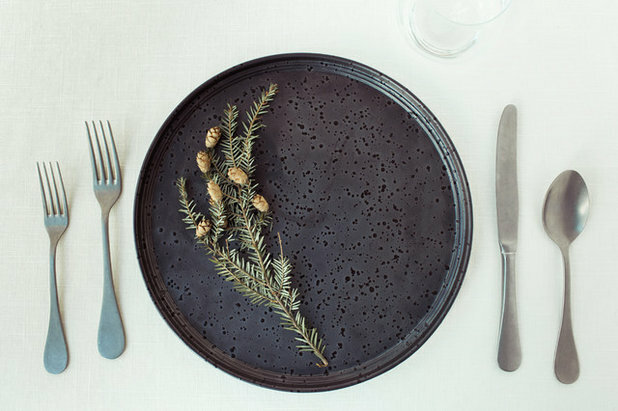 Sometimes you want a natural place setting, but also one that’s a little more formal. 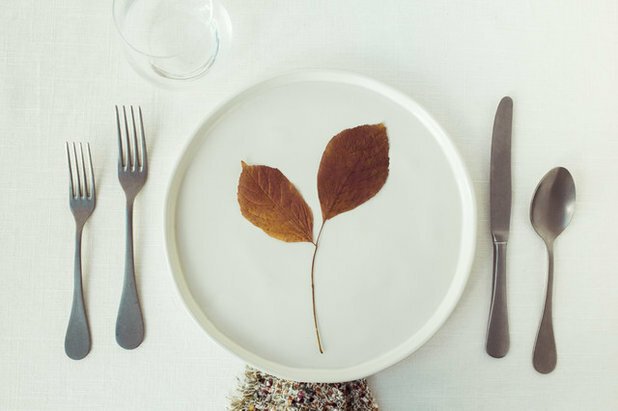 This place setting brings a foraged leaf front and center, layered above the dinner plate with a tri-folded napkin on the diagonal. 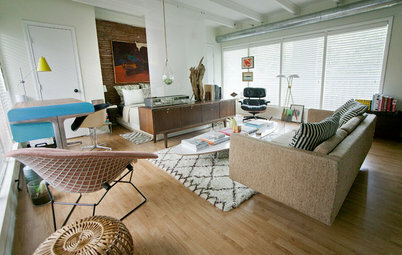 “It’s more styled,” Johnson says, with everything tucked tidily under. 13. Go a little wilder. 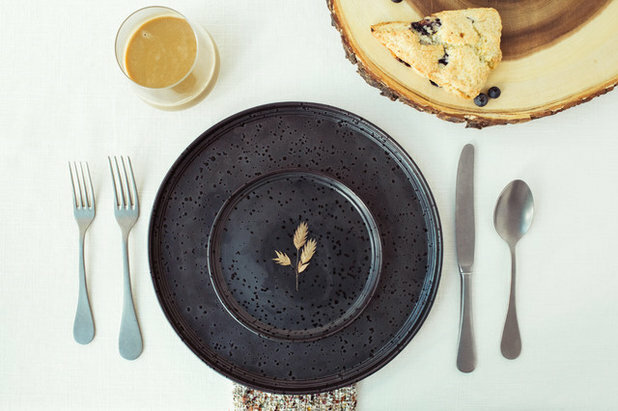 For a simple, dramatic place setting, opt for a single plate and a larger piece of foliage. This piece of a branch curves around the edge of the dark plate, with its cones adding some more seasonal flair. 14. 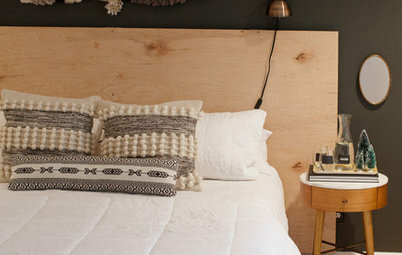 Get cozy. Fold the napkin in thirds and tuck the ends neatly under the black-on-black plates. 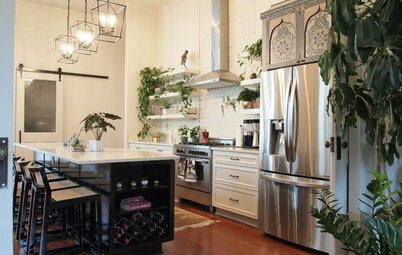 By nesting the napkin between the two plates, you can really get a sense of their color and shape, and also have a nice spot to tuck in a sprig of foliage. 15. Bring it all together. 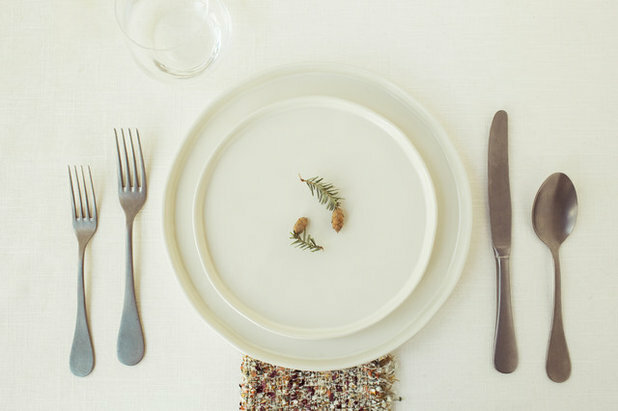 The place setting can pull from all aspects of the table, as we see here. The blueberries tie in with the plates, and the light seeds tie in with the wood. Midland Tall Square Planter, Black, 32"
Ashley Brushed Faux Fur & Matching Sherpa Borrego Backing Throw, Dark Teal, 50"
Annie, thank you for a creative article. 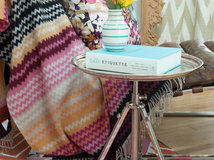 I love the tabletop ideas here, finding them very artistic. Why argue over semantics? That said, I don't think I would put leaves directly on the plate for sanitary reasons. If you found leaves on the ground rather than picking them from trees, remember that animals both domestic and wild love to do their business on soft absorbent surfaces, including piles of fallen leaves. I like nycredhead's idea of sprigs of rosemary on the plates as an alternative. An inconvenient reality to consider. We have a major tick/lyme disease problem here in the mid-Atlantic so pressing the leaves in wax paper with an iron as suggested by ctortolano would both preserve the leaves and guard against ticks (heat kills ticks). 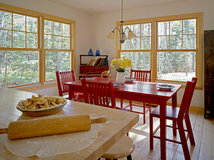 I'm out in nature every day on my property and I love bringing the outside in but with some cautions. I put collected pine cones on a parchment paper covered baking tray in a low oven (200ºF) for an hour to remove any tiny critters before decorating with them. 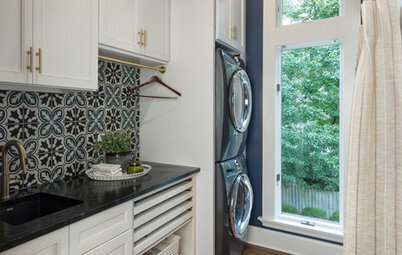 Embrace the beauty of nature in your house but use common sense. 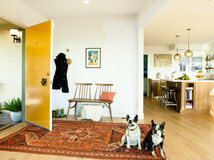 I absolutely love some of these ideas and find this article to be very inspiring! Love the simple minimal design (and, yes, I do think it is design) aesthetic! Wow I love the ideas! So simple yet chic! I love it!